Four days after a bank robbery that claimed eight lives in Idoani, headquarters of Ose Local Government Area of Ondo State, banks and other commercial centres in the town are yet to open for a transaction. The development also affected economic activities in the town, as major markets are yet to open, even as customers of various private commercial centres have deserted their business partners. Robbers had, on Monday morning, attacked an old generation bank in the town and killed five officials of the bank, two customers and a police officer, even as they carted away an undisclosed sum of money. Also, commercial banks in neighbouring towns are yet to open for a transaction, a development which made many of them travel to Akure, the state capital, for financial transactions. Daily Sun was informed that all commercial banks in the four local government areas that make up Akoko division of the state, were shut down to customers. It was gathered that many people who went for bank transactions waited endlessly before they returned home with regrets. 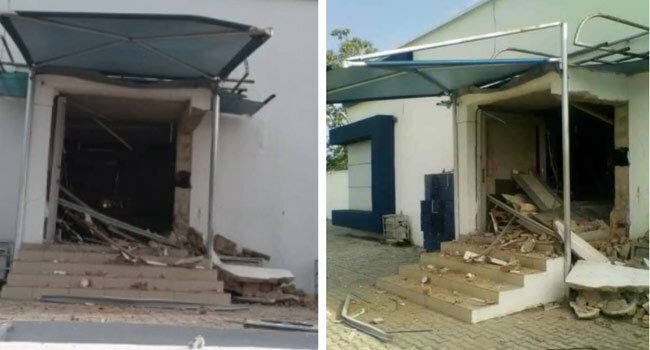 A senior bank official, who spoke on condition of anonymity, said the bank could not open for a transaction, as security agencies and the management of the bank were yet to conclude investigations on the Monday’s attack. He said security report had not been favourable for banks’ operations in the vicinity, adding that they would not transact business unless adequate security is guaranteed. A customer, who came from Akunu-Akoko, Micheal Bello, and another from Irun-Akoko, Mrs Ronke Ademulegun, said they were not aware of the robbery at Idoani before coming to the banks. They said they were stranded in Ikare-Akoko since they could not get the means of returning to their respective towns because of the banks’ closure. Efforts to speak with Ikare Akoko Police Area Commander, Assistant Commissioner of Police, Razak Rauf, on the development failed.